At the Battle of the Monongahela on July 9, 1755, every officer on Major General Edward Braddock's staff was injured or killed, with the exception of his aide-de-camp, George Washington. 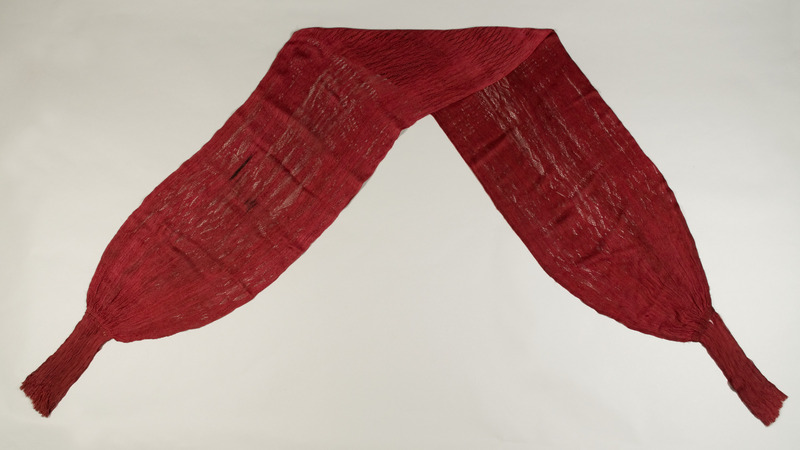 Braddock also sustained a fatal wound and is said to have been carried from the field in this, his officer's sash. Washington alone brought order to the fray, forming a rear guard to enable retreat. Family tradition maintains that Braddock presented the sash to Washington prior to his death four days later. In 1846, the sash was presented to another war hero and future President of the United States, Zachary Taylor. 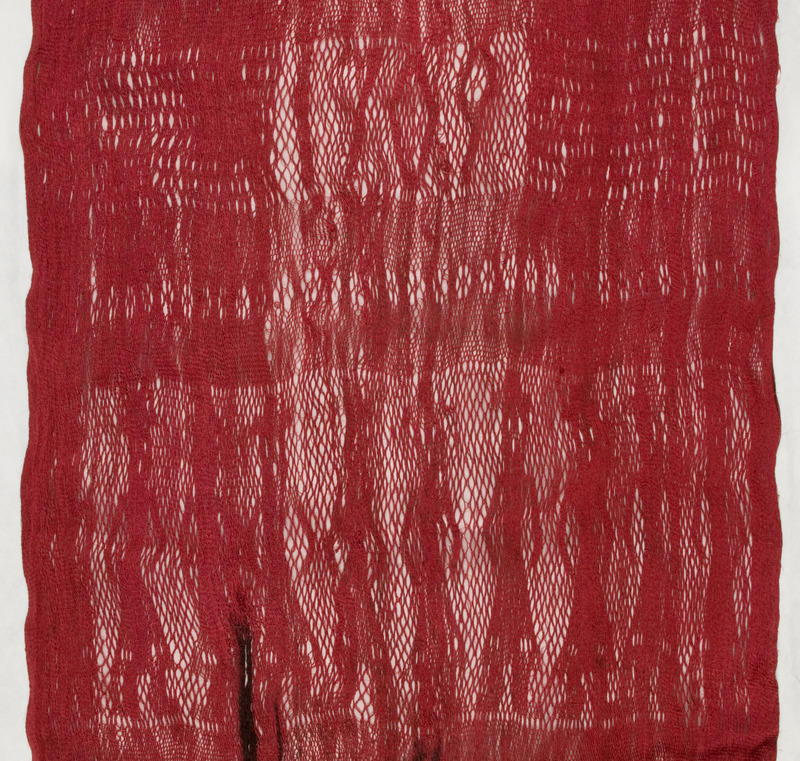 Sprang-woven military sash terminating in long tassels; body of the sash features five major designs mirrored at the center seam: a 6-inch field of diamond-diaper pattern, a 3 ½-inch band consisting of eight rows of circles flanking an openwork, rectangular field displaying the year "1709", a 8 ¼-inch row of ten, hat-wearing men, 7 inches of five offset rows of outward-facing triangles, and a 5 13/16-inch field of small diamonds; rows of two, four, or six petaled flowers separate the five designs; 12 ½-inch-long knotted tassels are woven into each end.